← Do You Have “Mushroom” in Your Life for Mushrooms? Filling your Plate with Peas! Eat your peas! No, really! They’ve got fiber, antioxidants, and are packed with nutrients. You can find them in your fried rice, in baby food all mashed up, and as a side dish at dinner. Frozen, canned, or as a split pea soup, it’s a popular vegetable legume. You heard it! It’s not technically a vegetable. They belong to the legume family. Like lentils, chickpeas, beans, and peanuts, green beans are the seeds of a legume plant. But people commonly know them as veggies, so we don’t have to burst their bubbles, we can still call them vegetables! Peas can be purple, black-eyed, yellow, or green. We’re going to talk about green peas which are nutritious and high in complex carbohydrates. You can tell they’re starchy from their consistency. 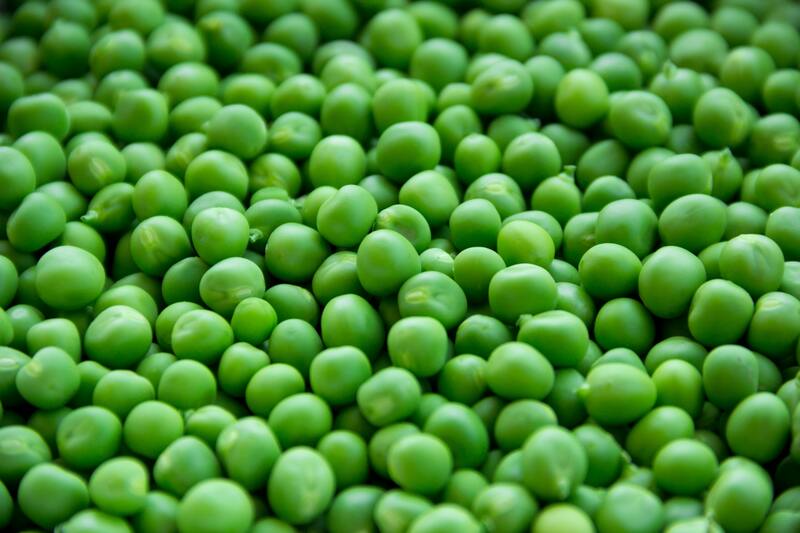 Just ½ a cup of green peas is only 62 calories! Of those calories, 72% comes from carbohydrates, 23% from proteins and 3% from fats. High in fiber and protein, rich in nutrients, and rich in antioxidants, green peas will earn a spot on your plate! Green beans are vitamin rich! For 62 calories, they contain 34% of the daily recommended intake of vitamin A. That’s a lot for half a cup of green peas! Vitamin A is involved in many functions in our body including the maintenance of our heart, lungs, kidney and other organs. Vitamin A is involved in immune functions, vision, reproduction, and cellular communications. Vitamin K is another prominent nutrient that we can get from green peas. Coming in at 24% of the recommended daily intake of vitamin K, green peas are a great way to get your serving of an important fat-soluble vitamin. Vitamin K helps blood clotting and coagulation and is important in bone health. It also has been studied for its anticancer abilities! Here’s a vitamin that we rarely think of when we look at peas: Vitamin C. Green peas offer 13% of our recommended daily intake. Vitamin C is important because it helps to produce and maintain collagen which is found in our skin, ligaments, tendons, cartilage, bones, blood vessels, intestines, the eye, and in our muscle tissue! Collagen has been studied for its ability to protect our skin, stop aging, and help our wounds heal. Vitamin C also helps produce carnitine, neurotransmitters, calcium in our bones, and is supports our immune systems. Green peas also contain 15% of our recommended intake of thiamine! This vitamin helps our bodies convert our food to fuel. Folate is also found in green peas! They offer 12% of our recommended daily intake. Folate is important for many things but is vital in brain function. It’s also important during pregnancy as it helps produce genetic material. We can also find riboflavin, niacin, and vitamin B6 in green peas, but in smaller amounts. Green peas have a good amount of fiber and protein in them: 4 grams of each in just half a cup. Fiber and protein found in green peas help to slow down digestion and controls the breakdown of starches keeping our blood sugar levels steady. This leaves us feeling fuller, longer. Which can save us calories in the long run. If you’re into meal prepping, adding a starchy vegetable into your diet can help curb your appetite and cravings! Fiber also keeps your gut healthy! It prevents unhealthy bacteria from getting out of control and feeds the good bacteria’s we have in our intestines. Getting enough fiber in our diets can help prevent gastrointestinal conditions and even colon cancer. Diets high in fiber have produced lower cholesterol levels, especially “bad” LDL cholesterol. Green peas have been studied for their ability to help prevent chronic diseases. Because green peas are high in minerals like magnesium, potassium, and calcium, research has shown that these nutrients are helpful in controlling blood pressure. Green peas also contain flavanols, carotenoids, vitamin C. These antioxidants fight to reduce cell damage, which can also reduce the risk of cancer. If you’re going to eat green peas, you won’t need to plug your nose for too long if you eat just a half of a cup. Filling your plate with green peas could rival your daily multivitamin when paired with other nutritious foods. You can find green peas in the grocery stores fresh, frozen, or canned, but I hear fresh garden peas are the way to go! For unique recipes for peas check out the Fill Your Plate recipe section! However, if peas are not for you, there are hundreds of other recipes to choose from. This entry was posted in Cooking, Diet Tips, Fill Your Plate, Food, Food Facts, Grocery, Health Tips, Healthy Eating, Planting, Produce, Recipes and tagged Fiber, food, green, peas, Protein, Vitamin K. Bookmark the permalink.